Wake Forest University seniors in 2017 reflected more positively overall on their experiences than both peers at many of the other 78 institutions administering the HERI College Senior Survey (CSS) and when compared to the WFU class of 2015. Although differences surfaced within Wake sub-groups (e.g. by race and by gender), respondents indicated high levels of both overall satisfaction and regard for their interactions with faculty. However, many Wake seniors reported concerns around cross-racial interactions and sense of community. 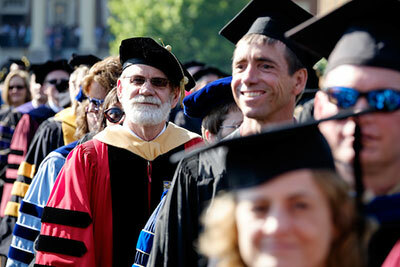 The CSS is a national survey directed at UCLA by the Higher Education Research Institute (HERI). The CSS is useful for determining from seniors their satisfaction in a number of areas across the university, as well as how they spent their time. The CSS was first administered to Wake Forest seniors graduating in the Class of 2001 and has since been administered every other year. The CSS was distributed electronically by the Office of Institutional Research in March 2017 to all Wake Forest seniors scheduled to graduate in May and August of 2017. A total of 169 graduating seniors submitted responses, representing 15% of the Class of 2017, which is a drop from 34 percent in 2015. The respondents were mostly representative of the senior class, with slightly more reporting Caucasian/White. Women respondents were over-represented at 66% compared to being 52% of the senior class. The only construct in which Wake Forest respondents scored notably below the national average was Civic Awareness (46.2). This score is similar to Wake Forest senior respondents in 2015 (45.6). Additionally, the 2017 seniors at WFU compared similarly to other Very Highly Selective Private Universities (Private Universities; 45.9) on this construct. 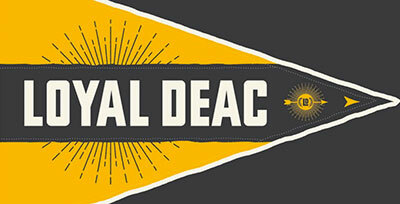 WFU differed meaningfully from other Private Universities in seven constructs. 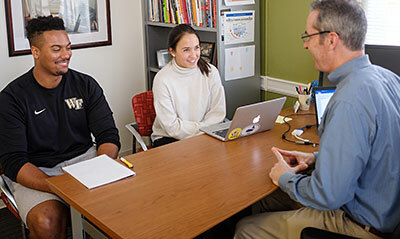 WFU scored higher than other Private Universities on four positive constructs: Faculty Interaction: Mentorship (57.3 vs. 55.2), Science Self-Efficacy (53.9 vs 51.9), Leadership (52.6 vs. 51.1), and Habits of Mind (52.5 vs 51.3). WFU scored lower than other Private Universities on one negative construct, Academic Disengagement (51.1 vs 52.8). On the other hand, WFU scored lower than other Private Universities on Sense of Belonging (50.6 vs 52.4), but higher on Negative Cross-Racial Interaction (53.0 vs. 50.7). Construct scores which trended negatively between WFU 2017 and WFU 2015 included decreased scores in Habits of Mind (52.5 vs 58.2), Pluralistic Orientation (48.6 vs 52.3), Civic Engagement (51.7 vs 54.1), and Social Agency (54.0 vs 55.8), and an increased score in Academic Disengagement (51.1 vs 49.4). Construct scores which trended positively between WFU 2017 and WFU 2015 included increased scores in Faculty Interaction: Mentorship (57.3 vs 52.1) and Overall Satisfaction (55.6 vs 52.5), and a decreased score in Negative Cross-Racial Interaction (53.0 vs. 54.4). Within Wake Forest’s 2017 graduating senior respondents, men scored differently than women on 10 of 17 constructs. While men scored higher on most constructs, women scored higher on Social Agency and lower on Negative Cross-Racial Interaction. Wake Forest 2017 seniors also scored differently by race on 11 of 17 constructs. In comparison with All Other Races, White seniors scored higher on Overall Satisfaction and Sense of Belonging. However, All Other Races scored higher on both Negative Cross-Racial Interaction and Positive Cross-Racial Interaction. Although less reliable than constructs, individual questions provide a closer look at notable changes within Wake Forest. Some individual items showed increasing involvement of seniors at Wake in areas of faculty and classroom interactions, while there was an increase in dissatisfaction with racial/ethnic diversity and sense of community. 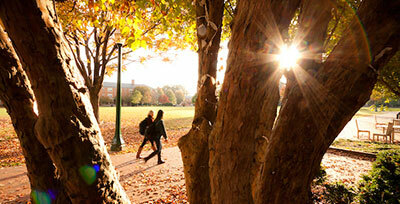 In addition to HERI survey questions, WFU has added a number of custom questions to the survey over the years. More and more seniors indicated collaborating with WFU professors on multiple research projects.